Hey hey there! Yay for the first Friday of October! We were out of town all last weekend so I am looking forward to some much-needed relaxation this time around. The only items on our agenda so far are painting rocks and pottery (from Sophie’s pottery class), baking our delicious apple oatmeal bars and watching Halloween movies. There is a global food fair going on in the town next to us on Saturday that’s sounds interesting but, hanging at home and getting caught back up for the rest of this busy month may win out. We really have a lot going on but the weather has cooled slightly and I’m not mad about that at all, we even got rain this week! Let’s dive into some Friday Love! We stayed at my sister-in-law’s house over the weekend so she could watch our girls while we attended the quinceneara. We decided it would be fun to check out the Little Italy Street Festival that was going on in San Jose on Sunday. We used to go before we moved to Tracy so it was fun to do it again. Lots of great Italian food and wine! Our little downtown has been fully decorated for Fall and it is so cute! I take a picture of the girls every October 1st and we decided to have them pose amongst the big pumpkins out on display. The shop windows are painted as well, it just looks so nice! Good job Tracy! Sophie and I baked pumpkin spice cookies last Friday and OMG were they good. We added a simple glaze and we literally almost finished them that day. A friend brought over a ginormous box of pumpkin chocolate chip cookies on Tuesday and I’ve had two to three a day ever since. I am the biggest fan of pumpkin. Yesterday was a spirit day at Lyla’s school and the theme was buns vs. mohawks. We chose to do a pumpkin bun of course!! I had so much fun doing this style to the girls hair, it came out really good. Of course little sister wanted one too. We volunteer in Lyla’s class every Thursday so it worked out great for Sophie to match her sister. Perfect hair for pumpkin season. There is nothing I love more than a sweet school picture! My big girl Lyla is in 4th grade this year and I got her school pictures back this week. She is the so sweet, so smart and so loving and growing up way too fast for my liking! We are both very happy with how her picture turned out this year. We’ve been in a dinner rut lately and after perusing Pinterest, I decided to make honey garlic shrimp on Tuesday. The marinade was super simple to put together, it cooked in about 5 minutes and it was so, so good. Both my girls loved it. I followed this recipe to a T except my hubby added some fish sauce. I served it with rice and broccolini. I will definitely be making this again. It’s been a while since I bought anything from Groupon (like years) but this week, I made three purchases… in just a week! The deals were too good to pass up. I got an email at the beginning of the week with a 50% off code. I used it for a month of unlimited gymnastics classes for my younger daughter. I ended up paying only $14! Then, a day later they sent me a thank you email with a code for $10 off. I used that for four passes to a local museum and it was only $1.50!!! I also grabbed the Starbucks $5 for $10. I can never pass up a good deal and these were pretty good, thank you Groupon!! An Edible Arrangements store just opened up in our town. I’ve never thought of them as anything more than a delivery service of beautiful fresh fruit bouquets. Well I was wrong! We got a coupon for a buy one get on free smoothie, and again, because I can’t pass up a coupon or good deal, I took my girls there yesterday to get a smoothie. I totally forgot to take a picture of the smoothies but the they were good. You could choose off a small menu of flavors or create your own. My girls both opted to create their own and got strawberry banana and orange pineapple. Two smoothies for $5, score! I’ve been reading Mix Match Mama, The Larson Lingo and Sheaffer Told Me To for quite a few years now. These are blogs I’ve really grown to love and I especially love the What’s Up Wednesday posts. I have always wanted to link up to one but have never done it. Right now, I’m trying very hard to be more mindful of my goals and blogging more is one of them so today, I’m finally going link up! Enjoy! 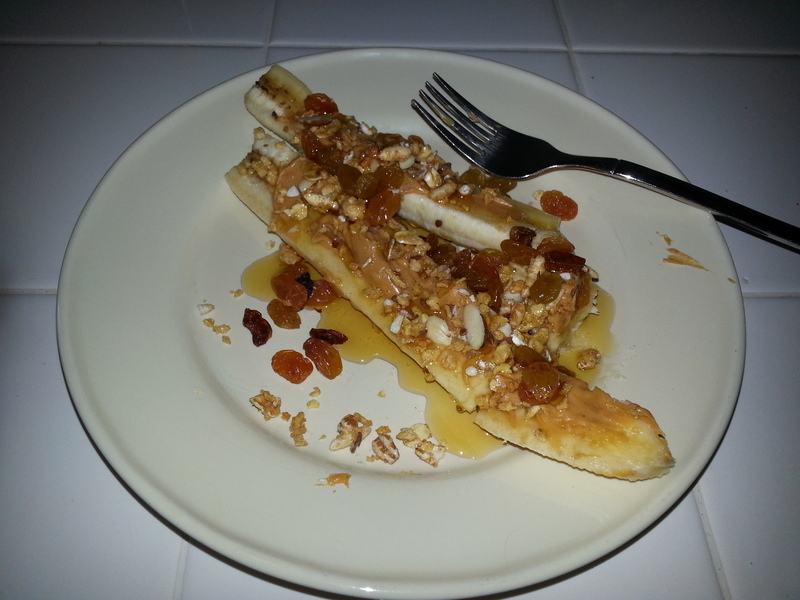 Wednesday – Breakfast for Dinner – now I am not the biggest fan but we have a lot of breakfast stuff in the fridge right now and the kids got so excited when I mentioned the idea so breakfast for dinner it is! Friday – Homemade pizza night! Friday night pizza night is our family tradition although, and I hate to say this but, my hubby and I are actually getting a little tired of pizza every single Friday. Now don’t get me wrong, he makes the most delicious homemade pizza but the consistency gets a little old and we find ourselves craving something different. He will still make a small cheese for the girls because they love tradition but we’ve found ourselves ordering in a lot of Thai or Salvadorian food on a Friday. It’s nice because I still don’t have to cook and we get to eat something we love but the girls won’t touch. Saturday – No clue! My hubby takes over the cooking on the weekend and we tend to go a little more gourmet since it’s not the usual weeknight rush. My girls! Watching them grow up as been pretty tough lately. Lyla turned nine on August 10th and Sophie will be five December 23rd. I feel like their baby years just flew by and I find myself thinking about those days all.the.time. They are turning into amazing young ladies, smart, kind, funny, beautiful but man do I miss the baby days!! New skincare products. When we were in FL in July, my mom gave me two Neutrogena products and I’ve been loving them. I use their day time facial moisturizer but these two were new to me. I really love the rapid tone repair moisturizer. It almost feels like a serum. August is a always a busy month for our family. The first day of school and my older daughter Lyla’s birthday are usually within a couple days of each other so that makes August CRAZY for me. Lyla’s birthday this year was a Unicorn pool party and her first big sleepover with nine kids! It was so much fun. My hubby and I really enjoyed listening and watching her and her friends, so sweet and so funny. Some very personal stuff but other than that, I’m focused on being positive and being grateful for the good things I do have in my life. Many things! Lyla tried out for the school play and got three roles. She was in the play last year and it was such a fun experience. I’m looking forward to all that comes with this production. Lyla starts acting classes next week at our local theatre. She’s wanted to take acting classes for a long time now but you had to be nine years old to do so. I’m also excited for Fall, Halloween and Christmas! We’ve been discussing Halloween costumes, thinking about decorating for Fall and talking about all our fun traditions and outings we like to do during the holiday season, lots to look forward to. House Hunters. To say I have an obsession with this show is an understatement! I literally can’t get enough. Both my girls now ask to watch it with me. We love nothing more than House Hunters!! Over the summer my mom gave me her Kindle Paperwhite! I was so pumped because my Kindle just stopped working a couple of years ago and I never replaced it. My hubby has a major issue with lights being on when we go to sleep and I love reading before bed so the Kindle was our middle ground. I felt I stopped reading as much as I used to because I didn’t have a Kindle so I’m very excited to start reading more. I just downloaded Bad Blood: Secrets and Lies in a Silicon Valley Startup. I started it last night and so far, so good. I went to college in Silicon Valley (San Jose State) and worked for three different tech companies, one a start-up, right after college so the title immediately peaked my interest. Workout clothes! I live in yoga pants, leggings, workout tops, sweatshirts, etc during the school year. I try to run/do a home workout about three times a week and love to do it first thing in the morning. Getting in the right clothes is half the battle! I did wear regular clothes for the Lyla’s 9th birthday. Her party was a unicorn theme and I wanted to fit the theme as the Mamacorn 🙂 My girls just love this shirt. I also got an adorable C&C California top from Marshalls recently for only $8! I felt that deserved a share because it was such a great deal. It’s a simple top but so comfy and made me feel put together yet still casual. I don’t know! We’ve been pretty busy so we may just take it easy and do our favorite thing – spend the day by the pool! We love nothing more than pool days in our own backyard, lounging on our floats, grilling out and going in the hot tub. We have to enjoy it now before it gets too cold! Lots of fun stuff! We are helping paint sets for Lyla’s school play, our city is having another downtown Artwalk (my girls love this), acting classes start, and we are attending our (well my) first quinceanera! My younger daughter Sophie starts Kindergarten next year and I have started to homeschool her. We had to take her out of her Pre-K program (I’m hoping she can go back in January). I really didn’t want her to fall behind so I’ve been using every internet resource I can to keep her on track. This is very new for me but she loves being home with mom (she has since birth) and has been the best little student. Bonus question this month: WHAT’S YOUR FAVORITE BACK TO SCHOOL TRADITION? The first day of school picture! We make a big deal out of it and get one of the girls by themselves, together, one with mom, and one with dad. I love looking back at these pictures every year to see how much the girls have changed and to look at their outfits – haha! Girl mom! We love fashion around here. Wow, so that’s my first What’s Up Wednesday! I’m really excited to link up and share this post. Now I have to sign-off and get back into mom mode, its time for school! I am extremely proud of this recipe because I sort of created all by myself. That is a big deal for me. 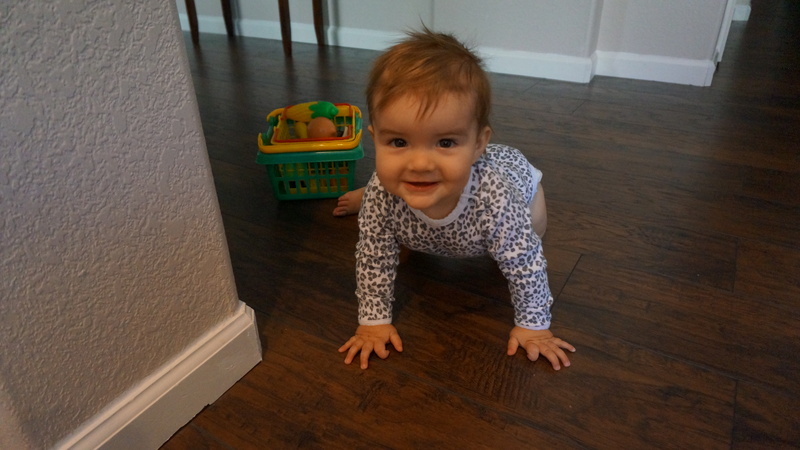 A little background on meal time in our house – I haven’t always been the one doing the cooking. When we were both working, and for years prior, my husband cooked dinner every single night. The deal was, he would cook and I would clean up because a) he is an amazing cook, seriously, I’m not just saying that. His mother is Italian and he can cook, period. He doesn’t really ever use recipes, and everything he makes comes out so good. He kills it on the grill and can cook for large groups of people (like 30) and have everything done at the same time and serve it hot, to me that’s an art, sorry I digress… and b) I can clean and I love to do it. It just worked for us. But now that I am home full-time, I do all of the cooking. Mainly during the week because on the weekends my hubby still loves to cook. He really enjoys making good food and seeing people enjoy it. I, on the other hand, have learned to love it. I never really cooked at all and if I did, I HAD to follow a recipe. Now I find that I’m really starting to love it. I love to plan out our weekly menu, I love to grocery shop and I really love to cook. I had a bit of a learning curve in the beginning but now I’m really starting to get into a groove in the kitchen and this recipe is proof of that. 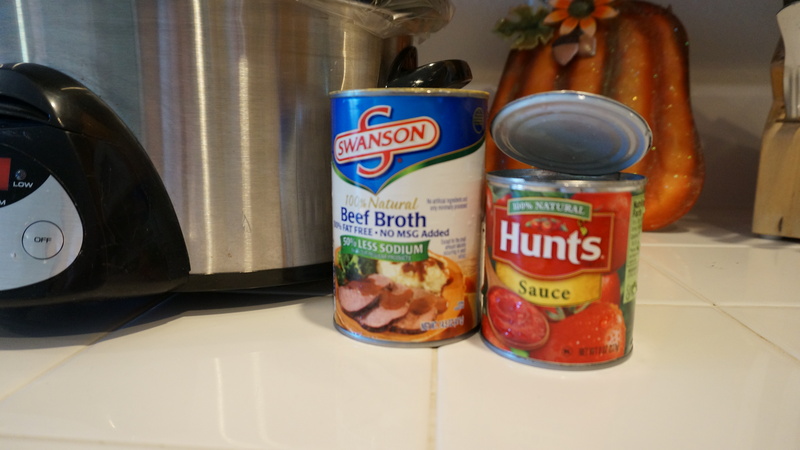 This roast came out so good and I made it using items I had on hand in my pantry or fridge. Before, I never would have been able to think of a meal based on what we had lying around and just wing it! 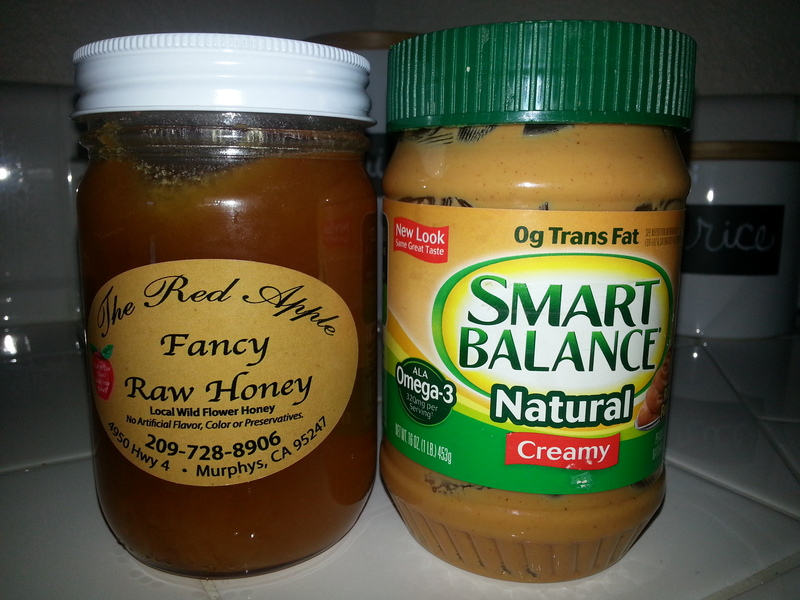 I don’t have exact portions or measurements, I kind of just used what I thought would work. I got lucky this time because it came out amazing. Finely chop garlic, onion and fresh rosemary, and transfer to small bowl. Add olive oil (maybe a couple tablespoons) and basil. Set aside. Chop tomatoes and set aside as well. 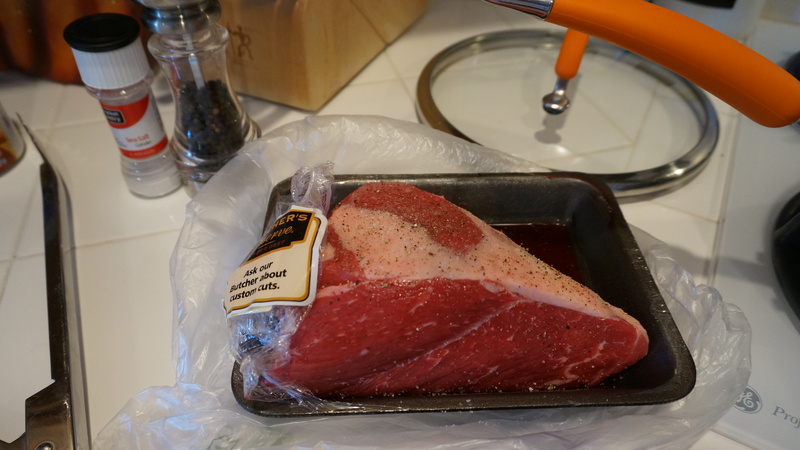 Next, season the roast generously with sea salt and black pepper. Place into a lightly oiled, hot skillet and brown on both sides. This takes about five minutes on each side. My little assistant was hanging out right near me while I was prepping the roast. She even brought me some groceries, how sweet! 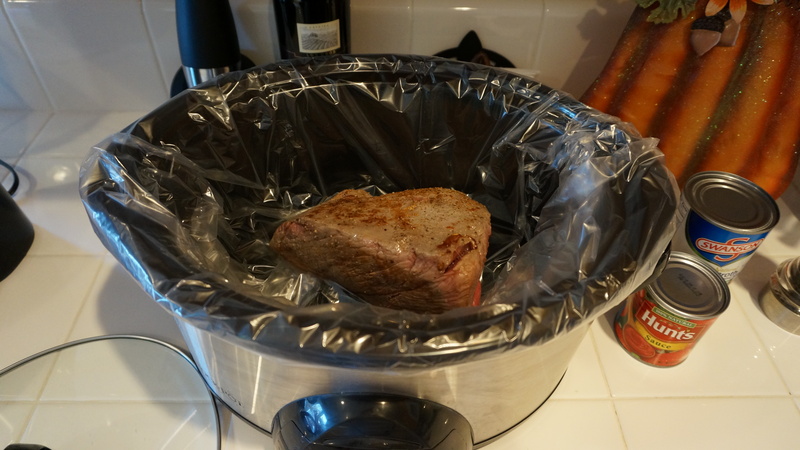 Place the browned roast in the crock pot and pour/rub the garlic, onion, rosemary and basil oil all over it. 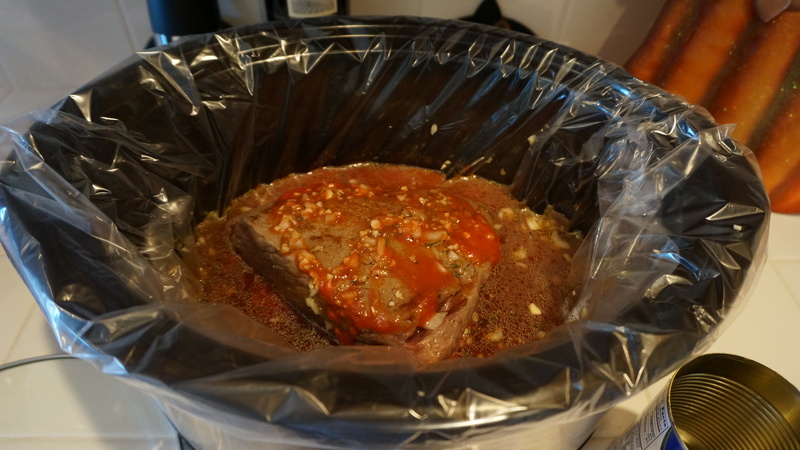 FYI – this was my first time using a slow cooker liner and, let me tell you, clean-up was a breeze. I got this tip from an awesome blogger whose blog I read daily, and I’ve learned that as a full-time stay-at-home mom, I need everything to be done quick and fast, including clean-up. So thank you, Mix Match Mama for the great tip. 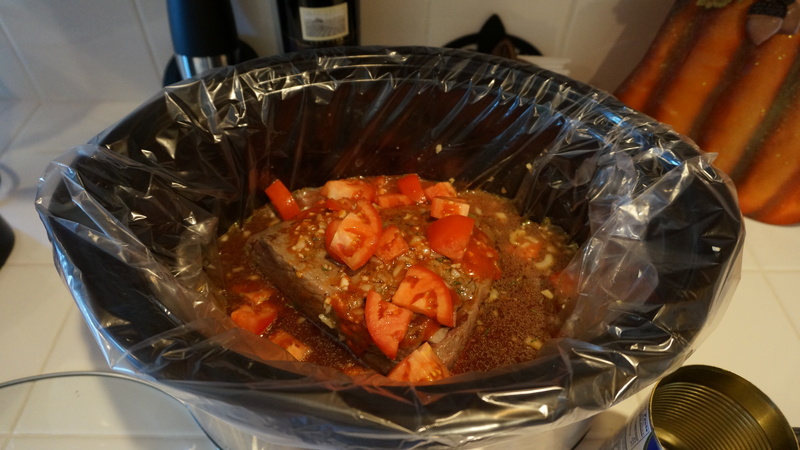 Then add the beef broth, tomato sauce and fresh tomatoes and you are ready to cover and cook on low for 8 hours. The smell throughout the house is amazing – enjoy! Today is the first day of Fall. That gets us really excited over here. Lyla has been jumping up and down talking about it for days. She knows this because she had to do a special Fall project to celebrate the turning of the season and because her mother likes to put pumpkins all over the house. All joking aside, we adore this season. The sights, the smells, the colors, we love Fall. This idea was born after I made these amazing apple oatmeal bars last week. 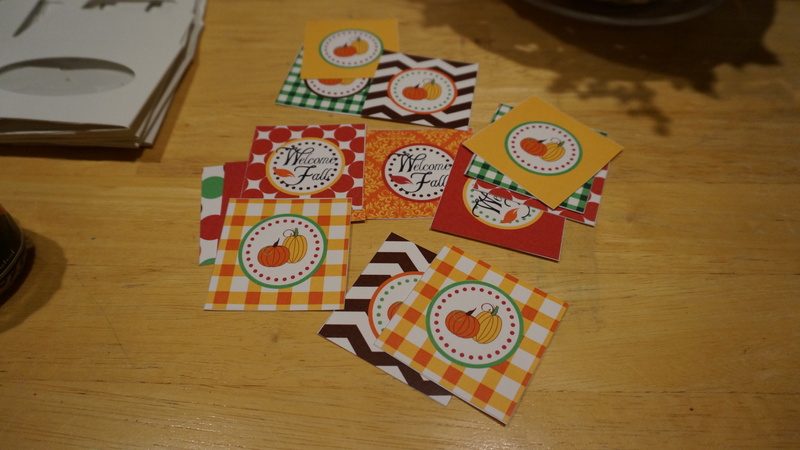 They came out so good and were so easy to make and I knew immediately that I wanted to share these with friends. I also knew immediately that I wanted to try and make them with pumpkin – they came out just as good. 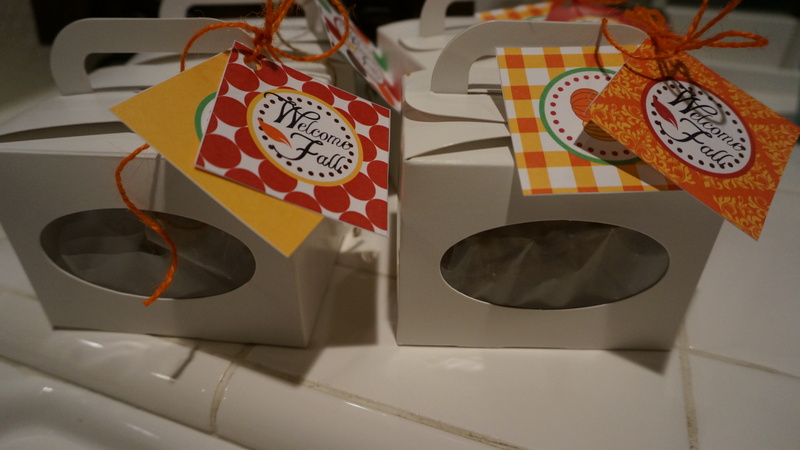 I thought these would be the perfect treat to hand out to my neighbors and Lyla’s teacher. Last night, while burning a pumpkin spice candle, I assembled my welcome Fall treats. I think they came out so cute and I just love doing projects like this. Easy, simple and, hopefully, well received. The Internet is overflowing with adorable, free printables. Sometimes, most of the time, I have a hard time deciding which ones to use because they are all so darn cute. I am so thankful to the talented people who share these with the world. I knew I wanted use twine to tie a tag onto a bakery type box with the bars inside. I found these beautiful tags here. The colors and design fit my vision perfectly and they just screamed Fall, plus they said, “Welcome Fall,” … they couldn’t be more perfect. I thought I would have to go to Michael’s for twine but I ended up finding some at Target in the dollar bins. How cool is that? 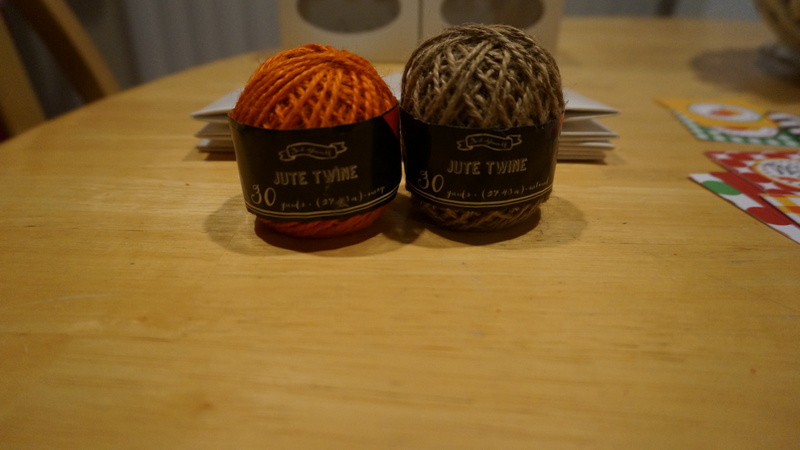 I’ve never seen really crafty stuff in the bins but I found the twine along with several other cute, packaging type items like bags, labels and stickers. I bought some bags and other tags that I know I use in the future, maybe for Halloween treats? Here are the pumpkin oatmeal bars. 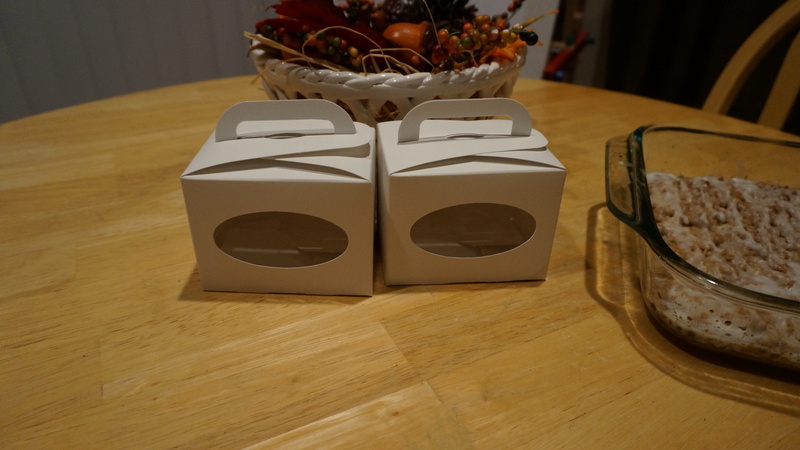 I cut them up into small squares and put two or three (depending on the size) into these white gift boxes. I’d been searching for bakery boxes in Tracy and hadn’t been able to find exactly what I was looking for. Sadly, there is no Container Store anywhere near me and that used to be my go to place for packaging. Luckily, I have the best mom in the world and she picked up and delivered these boxes to me, thanks mom! 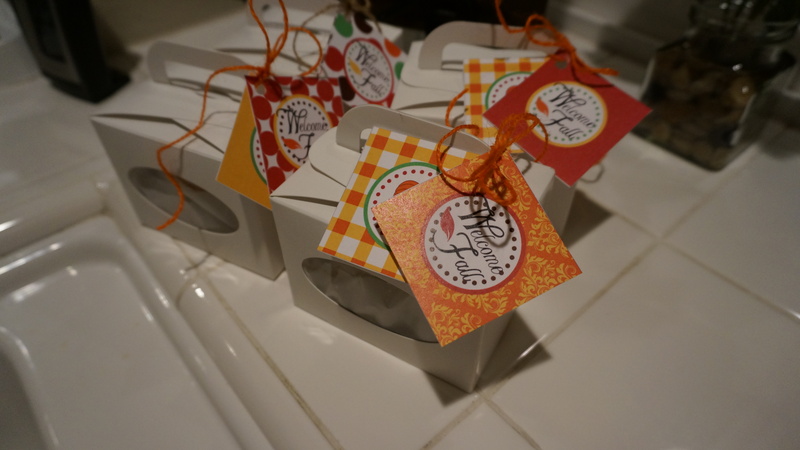 I love how these turned out and I cannot wait to give them to our neighbors today. I picked a rather normal, uneventful weekend to do a recap of but you know what, sometimes that is what I love reading about most on other blogs, simple, ordinary, day-to-day life. My parents stayed with us the weekend prior and we went to Tracy’s Taste of the Valley festival and were pretty busy all weekend so we knew we wanted to take it easy this weekend. Sometimes those are the best weekends, the ones with no plans. Friday morning started out with my little baby looking way too big. I swear, the times goes by even faster with number two, what a sweetheart! 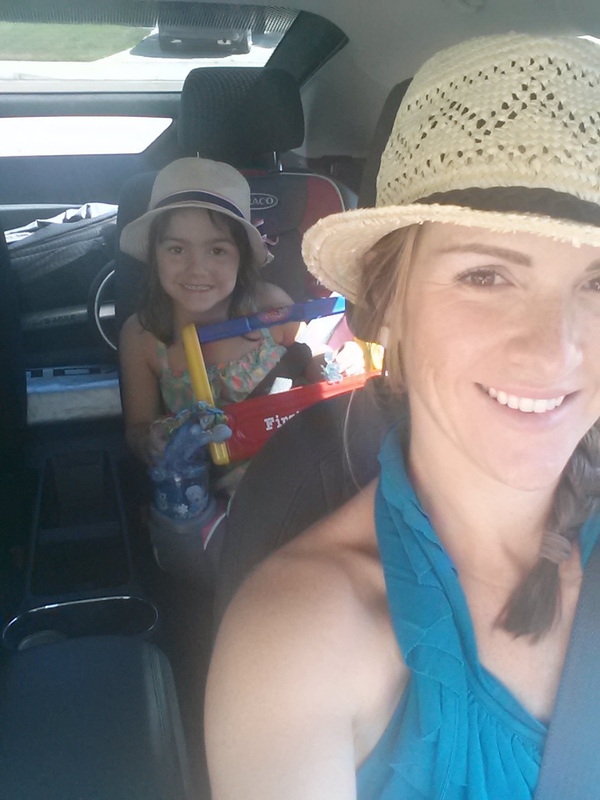 Friday afternoon, Lyla, Sophie and I headed to downtown Tracy. We had an amazing drink at this adorable coffee shop when we first moved here and I promised Lyla we would go back one day. 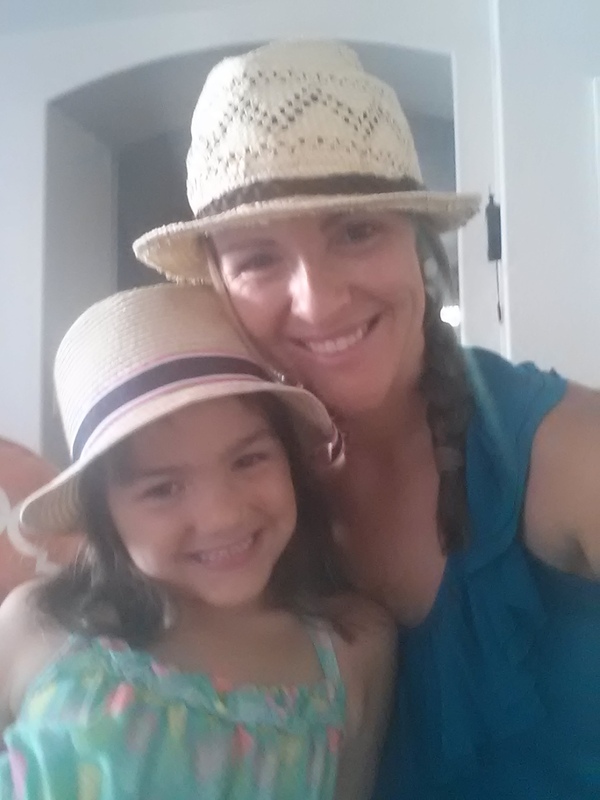 When I walked out of my bedroom wearing a hat, Lyla said, “Oh, I’m going to wear my hat too so we can match,” um, heart melting! Hearing things like that makes me so happy. When I was little, I used to love to match my mom. I’ll be sad when these days are over. Here we are in our hats ready to head downtown. My hubby took my car to work that day so we got to cruise around in his car, a Chevy Volt. It was my first time driving an electric, hybrid car and I was a little hesitant. Maybe I thought it would drive differently or something, I don’t know what it was but I was scared. Of course, there was no reason to be. I actually loved driving his car. I missed the space of mine (I have a GMC Terrain) but it was fast, zippy and used no gas, winning! Plus, it looked all futuristic inside. Our first stop was Baristas.We discovered this place back in July when we went to the Farmers Market downtown and Lyla had to use the restroom. It was super hot that day so we ducked into the closest place we could find to use the restroom. We ended up ordering the best drink ever, the strawberry lemonade blended. We are loyal Starbucks customers and I mean loyal but we just love this place. It’s adorable and everything we’ve ever tried there has been really, really good. I love the feel of it, its got a good vibe and is decorated so cute. 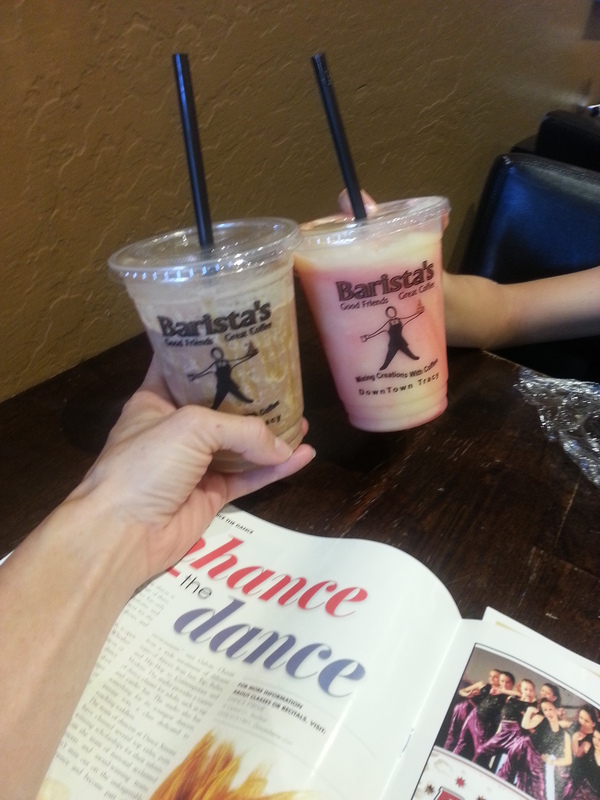 Lyla, of course, ordered her strawberry lemonade blended and I decided on a pumpkin caramel nut mocha blended. I never order these type of coffee drinks because I know they are typically very high in calories but I am so glad I did. This drink was amazing. I keep raving to my hubby that he has to try this place. I cannot wait to go back and try more items off the extensive menu. We’ve only tried the baked goods but the lunch food looks great as well. We walked around downtown for a bit, stopping in a few of the stores there and browsing around. Lyla is the best window shopping buddy. 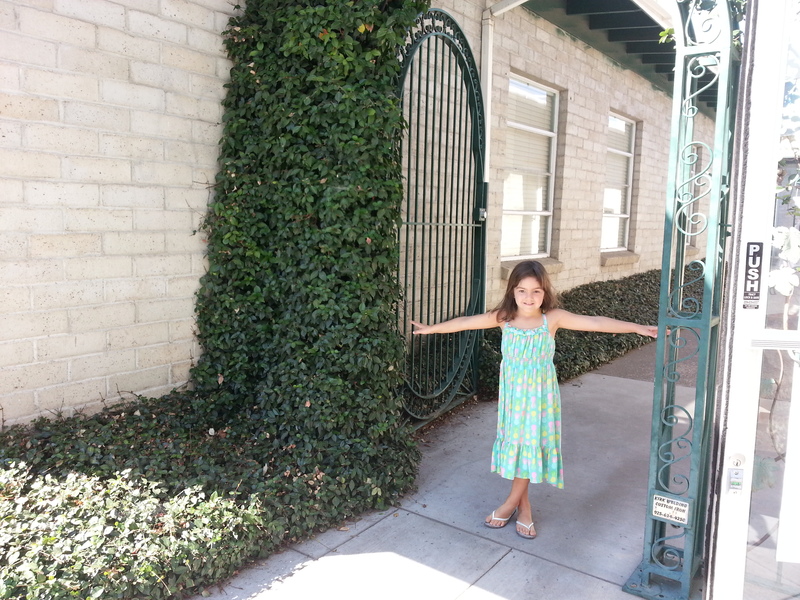 She asked me to take her picture in what she called the “secret garden” – here she is. It was getting pretty hot so we decided to head home. Sometimes John gets home later on Friday nights so the girls and I went ahead and ate dinner. I snapped this pic and sent it to him to let him know his dinner was ready and waiting, nice and warm. 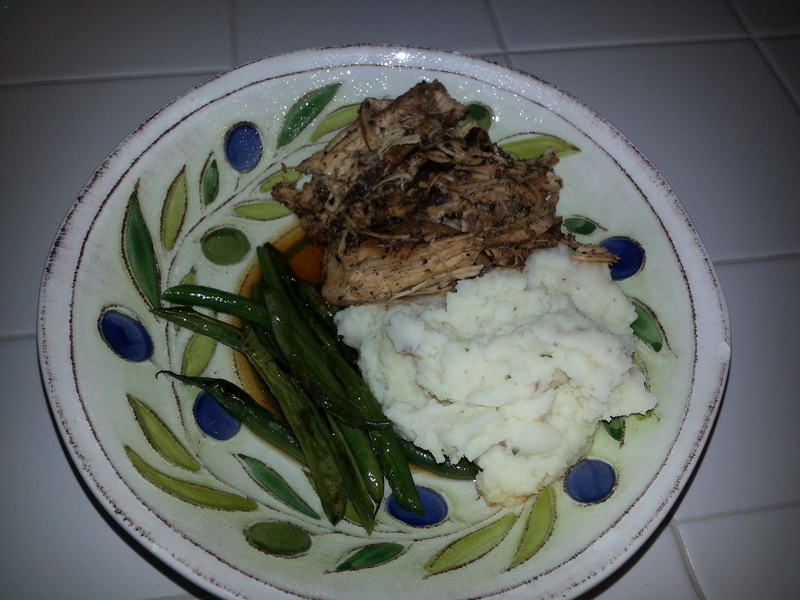 I made balsamic chicken in the crock pot and it came out so good. Saturday morning came and Lyla, who started to complain of a sore throat on Friday, woke up feeling really sick as did I. It was such a bummer because we had plans to work around the house this weekend and I was in no shape to be doing that. We did go to Costco for the first time since we’ve lived in Tracy (exciting!) and I’m happy to report that it was barely crowded! Costcos in San Jose are notorious for being insanely crowded all the time, especially on the weekends and it was pretty crazy to see one that wasn’t that busy, especially on a Saturday. I love going to Costco. We aren’t regular Costco shoppers so when we do go, I love to browse around and go up and down every aisle, much to my hubby’s delight. 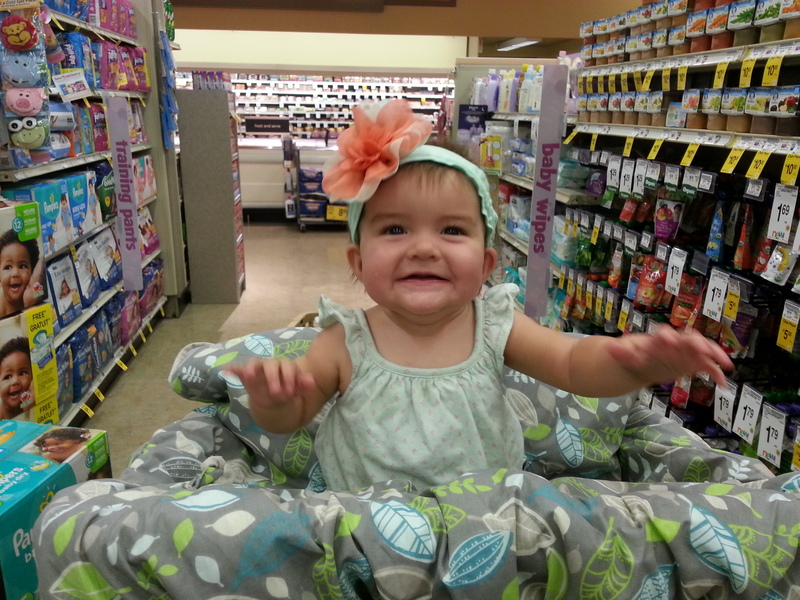 Sophie has only recently started to ride in the cart so it was really exciting to see both of my girls in the double cart – Lyla is smothering her sister as usual – lol. Can anyone guess where we went to dinner on Saturday night? Does the picture below give you any hints? Yep, Five Guys! I texted John on Thursday and said, I’m craving a cheeseburger bad and we are getting one this weekend. I knew that would make my hubby happy because he loves burgers and I only eat them every so often. We eat very, very healthy during the week and I workout 4-5 times a week so when I crave a burger, I let myself enjoy one, everything in moderation is my motto. Boy was it good! Saturday night I started to feel really sick and I hate being sick. I absolutely cannot stand it. I’m a go, go, go type of person and I don’t like it when I can’t do all the things I’m used to doing. I was also planning to go on a long, solo run Sunday morning and I was so bummed my throat starting to hurt really bad. Sophie also started showing the same symptoms as Lyla and she was not happy about it. 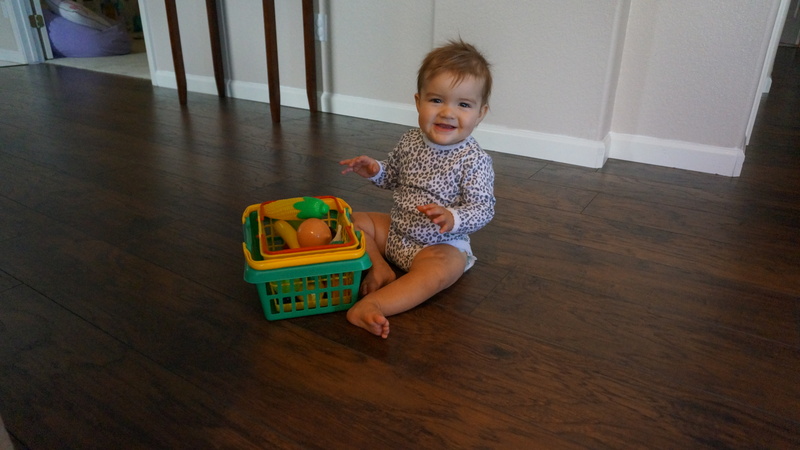 She has never been sick in her eight months of life and she was just super fussy and had a hard time getting to sleep that night. We were all hanging out in our bedroom and Lyla asked me to take some pictures of her and her girl, her mini Lyla, in their matching pajamas. This made me smile even though I was feeling so bad. Sophie slept horribly Saturday night and so did I. I woke up Sunday feeling like I had been hit by a truck so my plans of going on a long run and doing some yard work were replaced with sitting on the couch and trying to rest… kind of a hard thing to do when you have two kids. My sweet hubby went out to Jamba Juice to get smoothies for Lyla and I. Normally, I make smoothies for us almost every day but we were all out of frozen fruit and I was not in the mood to make anything. Thankfully my appetite returned around dinner time and John made an amazing meal. We had picked up the most beautiful piece of Halibut at Costco on Saturday and he prepared it just wonderfully. So there you have it, our weekend recap! We were home a lot since the girls and I were sick and as I type this, I’m still sick and nowhere near feeling better. I hope to shake this virus soon!